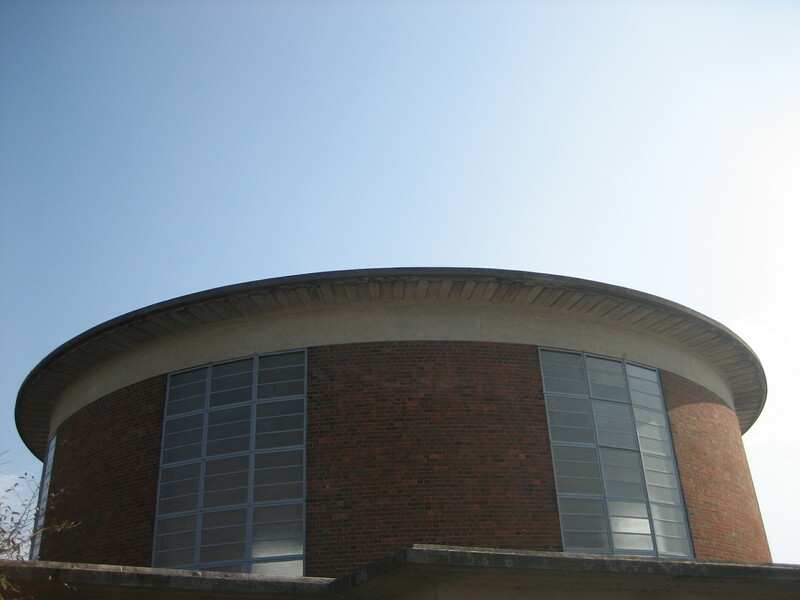 Peter York calls them “embassies of modernism”. Michael Gove calls them “prison houses of the soul”. I call the Piccadilly stations designed by Charles Holden one of the finest ensembles in the land. A bracing, lustrous orchestra of sensations. Their massed ranks of roundels, passimeters, turrets and Dalek stalks deployed in shimmering harmony, resonating up and down north London. A bit of bombast here, a bit of delicacy there, the odd cheeky homage thrown in for good measure. It’s an ensemble that can fizz as well as flutter, that whirls as well as soothes. 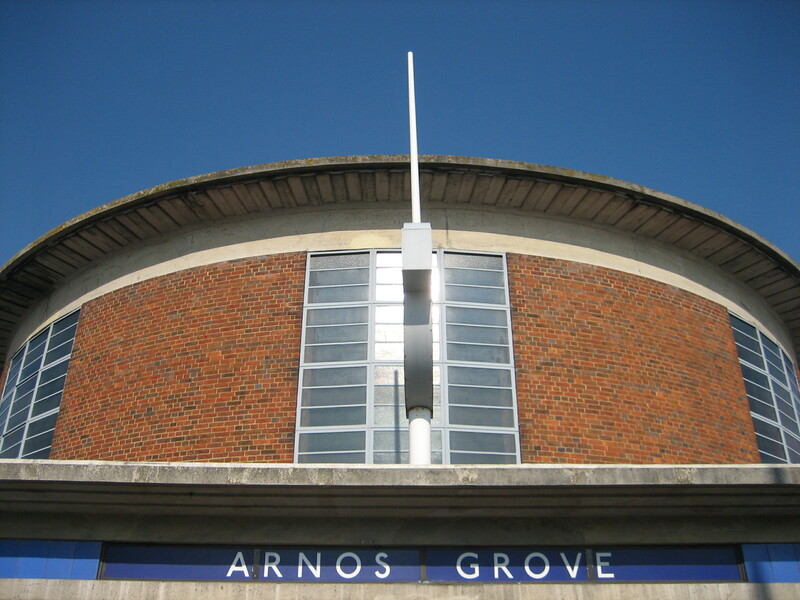 And in the centre, keeping everyone else in time and in line, the thunderous, glorious magic drum that is Arnos Grove. Apologies for the more-fanciful-than-usual wittering, but I don’t feel too steady on my feet. Because I’ve already bowed my head long and low to the wonder that is the interior of this station. How to pay equal tribute to the equally wondrous exterior? What more is there to say about Charles Holden, about whom I’ve been banging a drum for a good portion of the last 100 posts? Well, one mark of Holden’s genius is that he always does have something new to say, and another mark is that he does so with such visually self-evident swagger. The only thing he can really apologise for is trying. And that’s more than can be said for most of us. 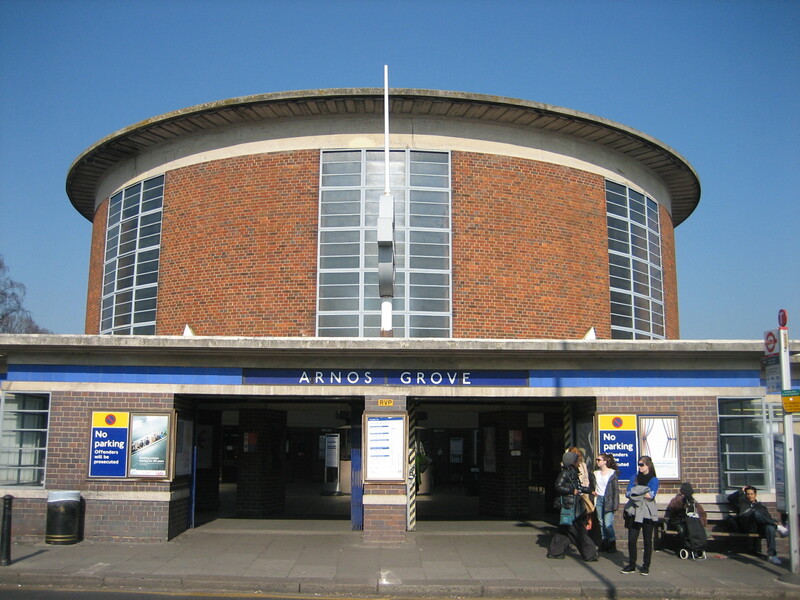 Arnos Grove looks like it has just tunnelled its way up from some kind of subterranean concrete Eldorado. It is like nothing on Earth (well, almost) yet somehow intensely familiar. The distinctiveness of the place attracts, rather than repels. You feel almost propelled towards it, like bathwater skipping its way down a plughole. It’s the opposite of being flung outwards by a centrifuge. It is this poster made real. There are many, many Underground stations that can cheer, amuse and sometimes thrill me when I step inside. 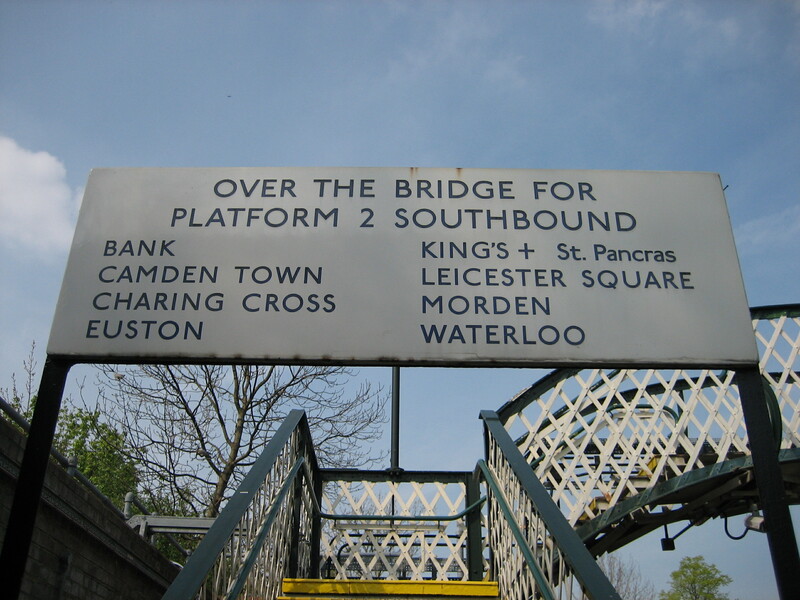 There are a few that go further – stations that bewitch and flatter. But there’s only one that revives me. That picks me up, no matter how deep I’ve sunk. That actually, in a very clumsy, reserved, hope-nobody’s-looking, British kind of way, lifts my heart. 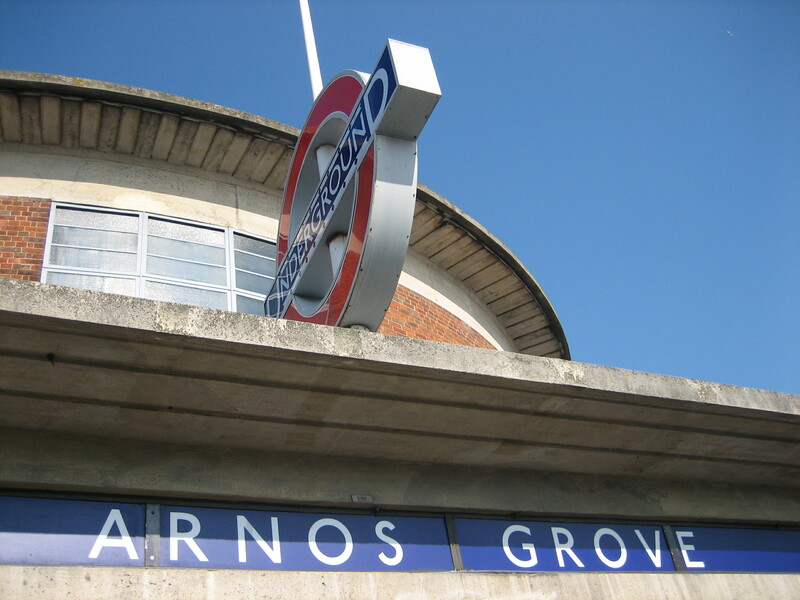 Beyond that, there’s really not much more I can say about Arnos Grove. For when Charles Holden bangs the drum, there are no words to describe the way I feel. When searching online for solid information on Harold Stabler to inject into my otherwise flabby tribute to his efforts at Aldgate East, I’d learned that he hadn’t confined his creations just to one station. 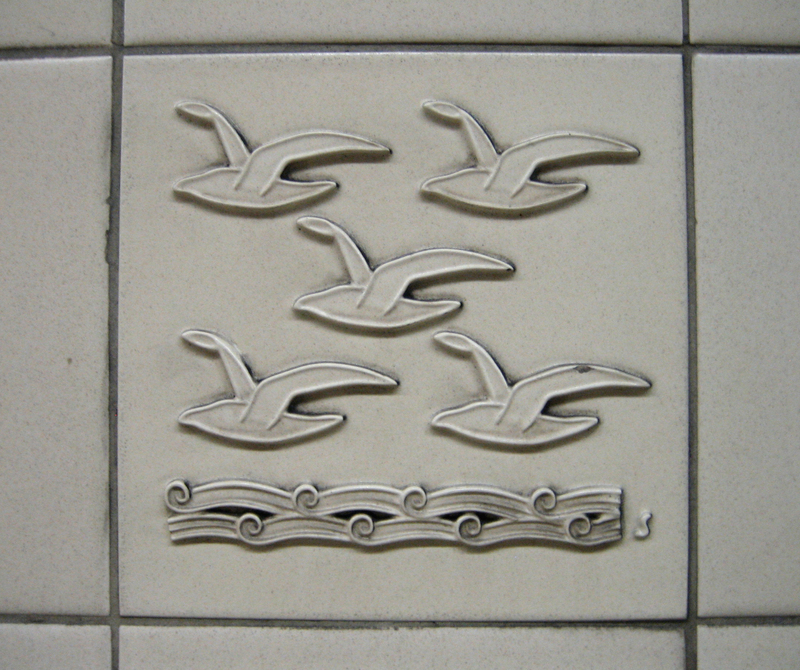 More of his ceramic whimsy could be found on the Jubilee line, at both St John’s Wood and Swiss Cottage. At the time I presumed it was merely more of the same. 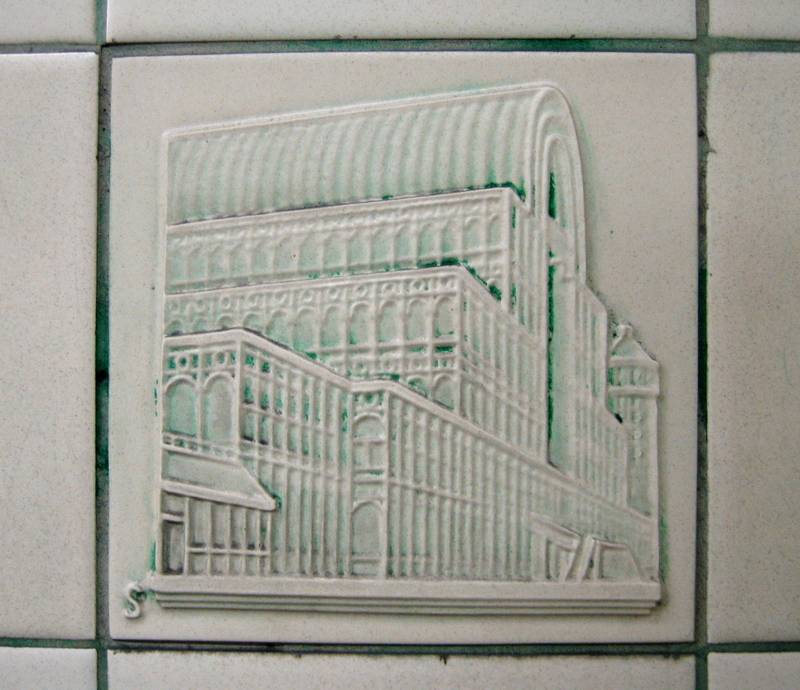 As charming as Stabler’s tiles are, I didn’t think it worth bothering with a trip to see an identical batch in simply a different location. I’d had my fill of vexing heraldry and monstrous apparitions – or more accurately, monstrous heraldry and vexing apparitions. Well, not for the first time on this blog, my presumption has now given way to contrition. 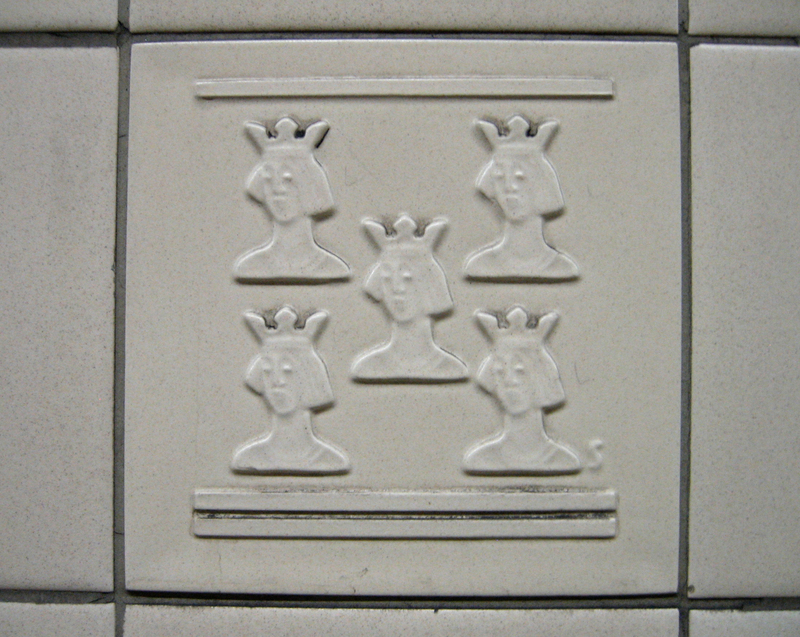 For there is an entirely fresh selection of tiles on the Jubilee line, just as delightful and possibly more intriguing than their cousins over in the East End. 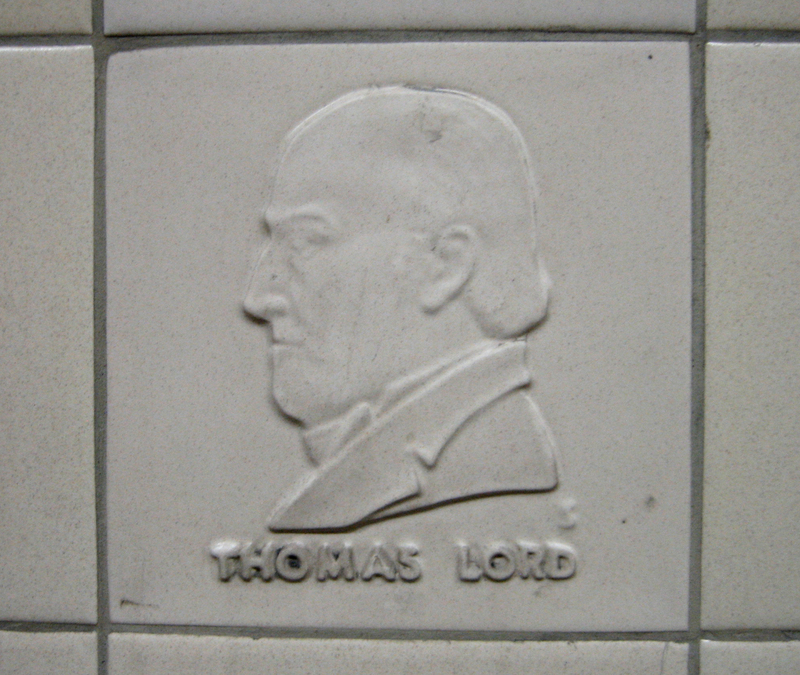 Who, I wondered, was Thomas Lord? Being a poor sportsman, and an even poorer lateral thinker, it wasn’t until I did more online searching that I discovered his local significance. I’m sure you can make the connection faster than me. Suffice to say I was, ahem, bowled over by my own ignorance. They look like representations of a young monarch, perhaps hailing from the Plantagenet dynasty. Another local connection, perhaps? Did Henry II once strike camp at what is now the Central School of Speech and Drama? 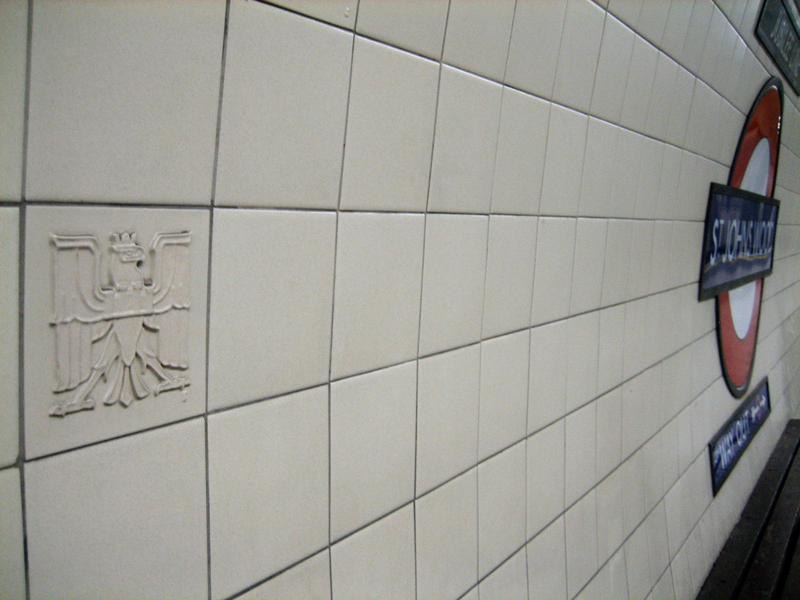 At both St John’s Wood and Swiss Cottage you can find a few duplicates of the tiles at Aldgate East; the Underground roundel, for instance, and the relief of the headquarters at 55 Broadway. But these are the exceptions. Stabler treats you to a largely new and, for me, wholly unexpected spread of caricatures and motifs. The way they are laced along the platforms positively encourages you to wander up and down while waiting for your train, rather than observe the convention and remain sullenly rooted to a spot. This might not be very practical at rush hour. At all other times it’s a positive boon. These are palaces of curiosity. Their walls turn the mundane into the magical. And their wares are as delicate as crystal. 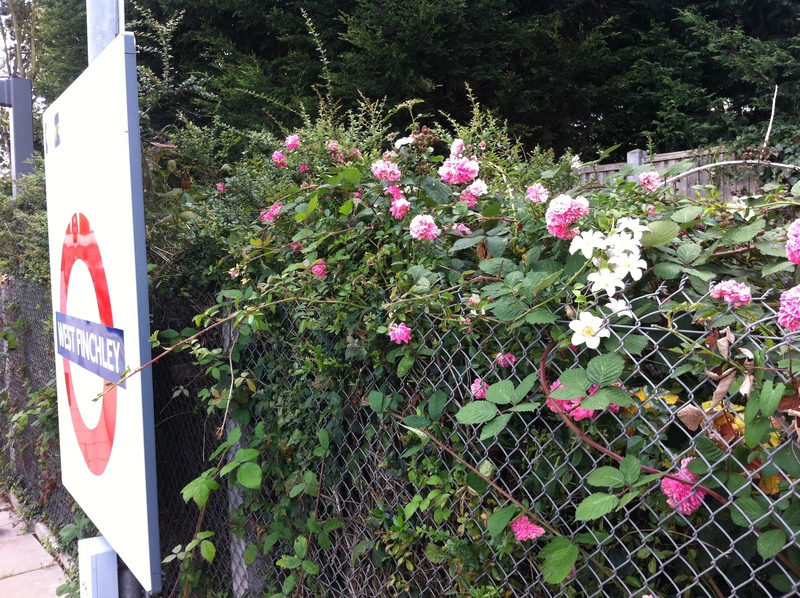 He adored West Finchley station. He idolised it all out of proportion. No, make that, he romanticised it all out of proportion. To him, no matter what the season was, this was still a place that existed in black and white and pulsated to the great tunes of something by Dennis Potter involving trains and tragedy, and which allowed him shamelessly to reference one of the finest opening sequences in cinema history, despite not having anywhere near the same style, wit or imagination. Yes, he was too romantic about West Finchley. Yes, to him it was also a metaphor for the decay of contemporary culture. 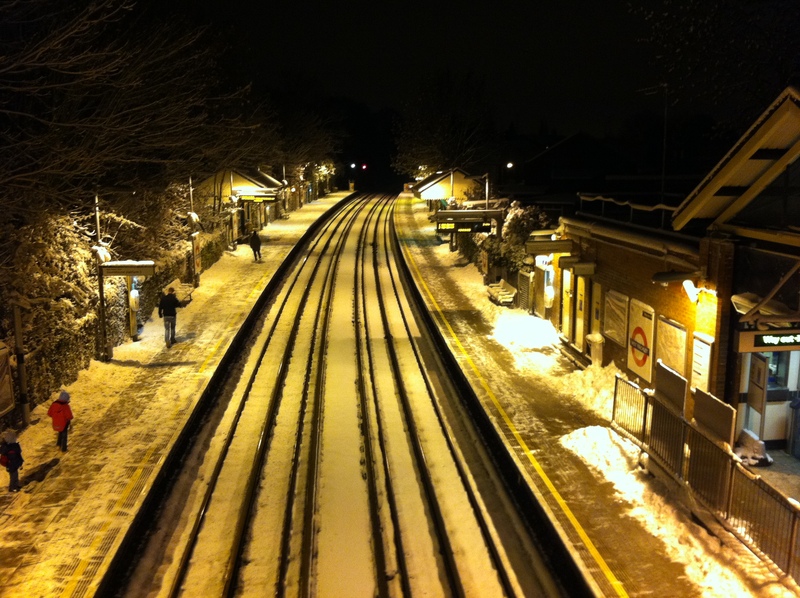 And yet, in its own restrained, sparse, under-used, over-played, half-arsed, romanticised, metaphorical way, West Finchley was his station… and always would be. I’d like to think everyone in London has special feelings towards their local Underground station. I’d like to think those feelings are mostly good-natured, though I’ll readily concede that’s not easy when your local station is Gunnersbury, Seven Sisters, or anywhere on the Bakerloo line north of Kilburn Park. 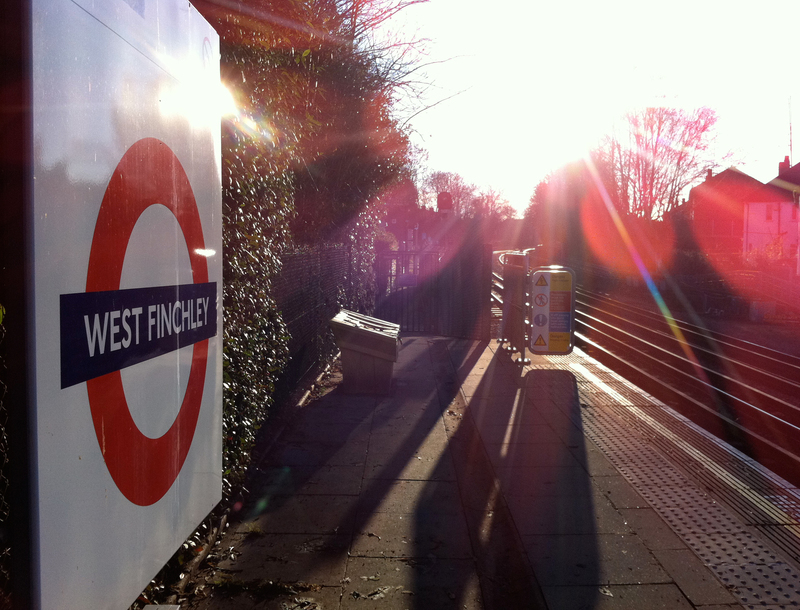 At the time of writing, my local station for five years has been West Finchley. I make no bones about the fact it was one of the reasons I chose to live in this area of north London. And I retain the same gushing affection towards it as I did the first time I ever had cause to pass along its platforms. It’s not a very busy place. It’s staffed for only two hours on weekday mornings. At off-peak times, I’ll often find myself the only person waiting to get on a train, or the only person to get off. In both instances a part of my brain buried deep from any passing relationship with reality pretends it is me and only me for whom the station exists. 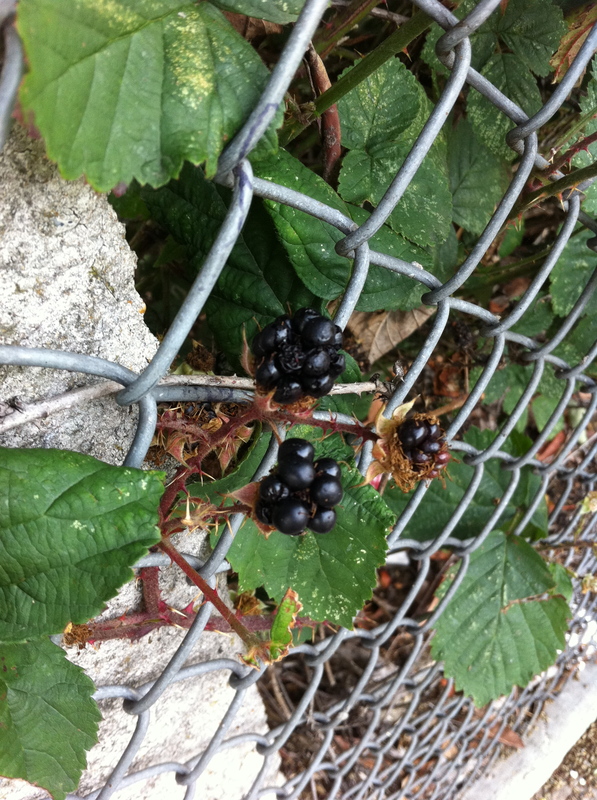 Fruit grows on the platforms of West Finchley. In summer, roses caress the barbed wire. In winter, robins perch on branches a few feet from your face. There’s also – shush! – a secret entrance. Transport for London describes West Finchley station as step-free, but unless you’re aware of the narrow passageway from an adjacent street that lets you on to the southbound platform, it’s the bridge or nothing. To make this secret entrance even more of a secret, it’s only open for a couple of hours each morning. The rest of the time you need a special key to unlock the gates that guard the entrance. Such an arrangement could only exist, or rather only exist unnoticed, in a place like this, where things crossfade quietly between the quaint and the eccentric. I’ve published this photo on the blog before, but I’m giving it another outing as I think it sums up for me what is the ultimate appeal of West Finchley station: its homeliness. Even in as extreme a concoction of weather, season and hour as this, the place still feels welcoming. It is safe and reassuring. It is somewhere you know you can trust. And, of course, for me it means just that: home. I hope other people share similar sentiments about their own local station. West Finchley isn’t particularly special in the way most of the things on this blog are, in the sense of boasting great architecture or locations or even sensations. But it has the ability to be special to me. I might romanticise it out of all proportion, but that doesn’t harm anyone except myself. Which is what, ultimately, makes it so great.